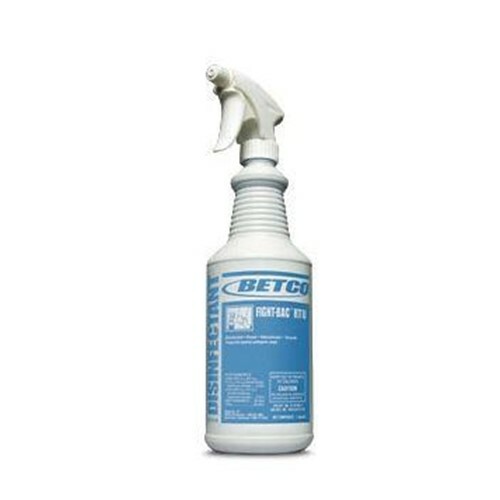 This Quaternary based, anti-bacterial cleaner is an ideal disinfectant spray for use in hospitals, nursing homes, schools and hotels. Provides excellent performance in cutting grease, heavy soil and filth with quick drying times. Efficacious against TB, Staph aureus, Salmonella, Pseudomonas and E-coli. Also virucidal when used on pre-cleaned environmental surfaces against HIV-1 (AIDS virus) and Canine Parvovirus.